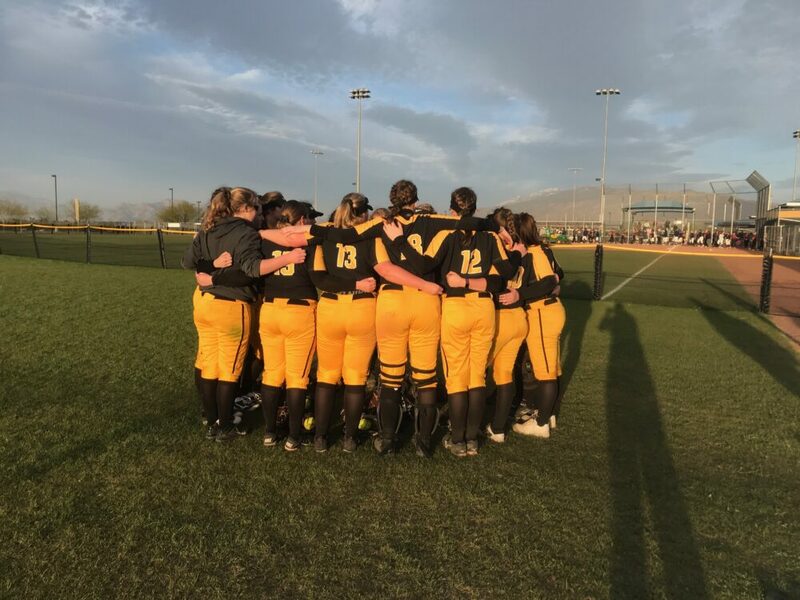 TUCSON, Ariz. – The Gustavus softball team concluded its Arizona trip on top as they used solid pitching on the day to take two victories. The Gusties beat MacMurray in game one 9-1 before beating Edgewood College 1-0 in game two. The Gustavus pitching staff allowed just four hits and four walks in the 14 innings of action. In game one the Gusties used an offensive outburst and solid pitching to take down the Highlanders. Gustavus was able to jump ahead 2-0 in the first inning thanks to RBI singles from Ashley Neuenfeldt (So., Bloomington, Minn.) and Aly Freeman (Jr., Omaha, Neb.). The Gusties struck again in the third inning when Freeman belted a solo shot for her first home run of the season. The Black and Gold scored an unearned run in the fourth before tacking on three more in the fifth thanks to a two RBI double from Marissa Marsolek (So., Savage, Minn.) and an RBI single from Ashley Beise (Sr., Loretto, Minn.). Gustavus scored two more in the seventh when Grace Worwa (Fy., Fridley, Minn.) and Xandra Zachman (Fy., Saint Peter, Minn.) reached base to start the inning for the Gusties and were later brought in by Neuenfeldt and Kenzie Skuza (Fy., Princeton, Minn.). MacMurray scored one run in the bottom of the seventh as the Gusties took the 9-1 win. Freeman started on the hill, going five innings, allowing no runs on one hit, while striking out 12. Amara Packey finished the game striking out two and allowing one run in the final two innings. Game two was a pitchers duel with reigning MIAC Pitcher of the Week Neuenfeldt winning the battle, throwing a complete game, one-hitter, while striking out eight. Along with allowing no runs, Neuenfeldt also scored the lone run of the game after she led off the fourth inning with a single, was moved over by a Skuza single and a Emily Carlson (Jr., Burnsville, Minn.) bunt before Sydney Swenson (Fy., Chaska, Minn.) drove her in to put the Gusties on top. Swenson and Carlson were the two Gusties with multiple hits in the contest with two each. Gustavus is back in action on March 30, when it travels to Saint Mary’s for a doubleheader.